This fantastic artisan close-coupled WC is very much a nod to the elegance of the art-deco style from the 1920's and 30's. The beautiful cut-corner style would look great as a replacement for an original, or as a new installation. 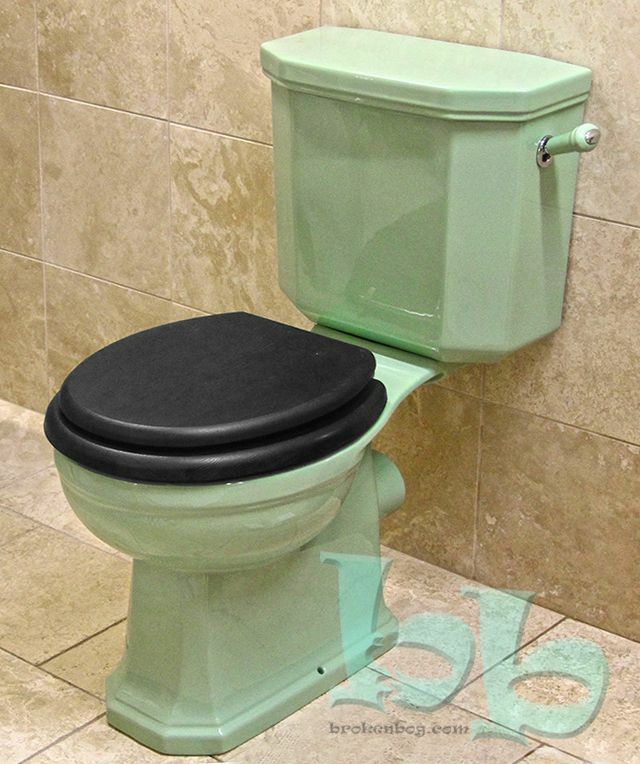 This range is exclusive to Brokenbog, and is also available in other retro colours. If the Jade Green is not what you're looking for, then please give us a call on 01428 608164 and we can discuss availability of other classical colours. This WC is compliant to modern water regulations. These items are made to order, and can take 4-6 weeks for the manufacturing and glazing process. Please bear this in mind when placing an order. NB: Price is for toilet only - The basin and pedestal are also available.